A car video recorder is not yet a popular device in Malaysia. But in countries such as Thailand and Taiwan, it is a very common tool. If you think about it, installing a car camera or DVR on your car has a lot of advantage. It is very useful if you were involved in an accident. When 2 person gets into a minor accident in Malaysia, who is at fault? When 2 drivers involved in an accident, if it is serious, the drivers will have to go to the police station to make a police report. Now, who is at fault is left to the police officer to decide. Sometimes, the police officer has very limited evidence to work with. He makes a decision by studying the damage on your car and also the scene of the accident. When the evidence is insufficient, sometimes, you may be found to be at fault even though you are innocent. When you are at fault, you will be fined RM300. Sometimes, both drivers will be deemed at fault and fined RM300 each. What if you could produce an actual video when the accident happened? That would be a great evidence to argue your case, wouldn’t it? That’s why fitting a car camera has so many advantages to the driver. Not too long ago, I actually bought the Safefirst Q5 car camera from Lazada Malaysia. I didn’t want to buy a cheap car dash camcorder because I know it will break down rather quickly. I wanted something which is robust, practical and will last at least 2 – 3 years. The Safefirst Q5 seems like a good deal. I bought it from Lazada Malaysia for RM169.20 including of delivery charges. Because the unit was shipped from a local supplier, I received my package within 2 days. When I received the Safefirst Q5, the package actually came with a Kingston 8GB SD memory card. I didn’t order it and I assume it is a free gift from Lazada. Firstly, installation is pretty simple and straight forward. All I had to do was attached the unit to my rear view mirror. I then plugged in the power cable into my car cigarette lighter port and it is good to go. OK, the main reason I bough a car camcorder is to record video when I am driving on the road. So how is the video output quality? Firstly, because the video output is on AVI file rather than in MP4, I noticed the memory card gets full rather quickly. The solution to this is to adjust the video recording settings to a lower resolution and maybe get a bigger capacity SD card. Generally, the output is grainy but overall the view angle is good. Video quality is not really good, but acceptable. What I wanted to see was the car model in front of my car and the number plate. And I could see them both in the video recording. For a relatively inexpensive car windscreen video recorder, the Safefirst Q5 does with it is suppose to do. Overall, I give it a 4 Stars for practicality and 5 Star for cost. If you are thinking of buying a car camcorder, go ahead a get the Safefirst Q5. Click on the link below to get it from Lazada Malaysia. Our company is FUHO technology, we providing high quality dash-cam and DVR which are all made in Taiwan. And sell all products whole world wide, hope we have opportunity and honor to cooperate with your company. We having few new products MDE-304, MDE-42D they are 4CH Mobile DVR for vehicle or E08B & E08FH for motorbike. 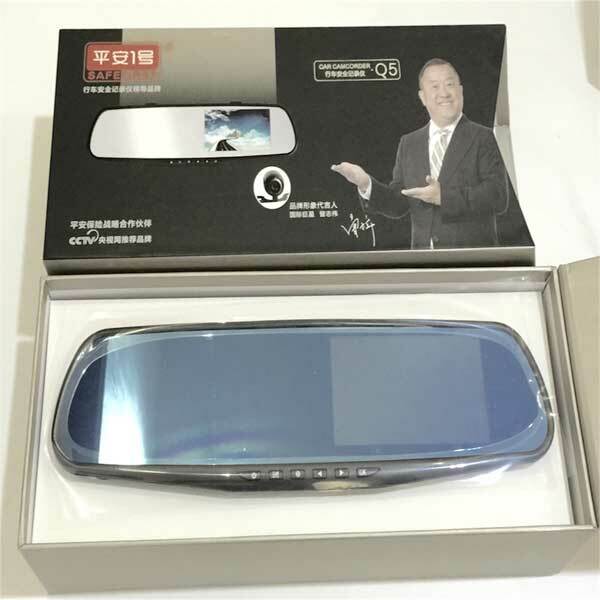 There is also a brand new MDE52, which is 360 deg angle Mobile DVR. In the file will be some Introduction and Spec of products. The website below will show all the products and specification.